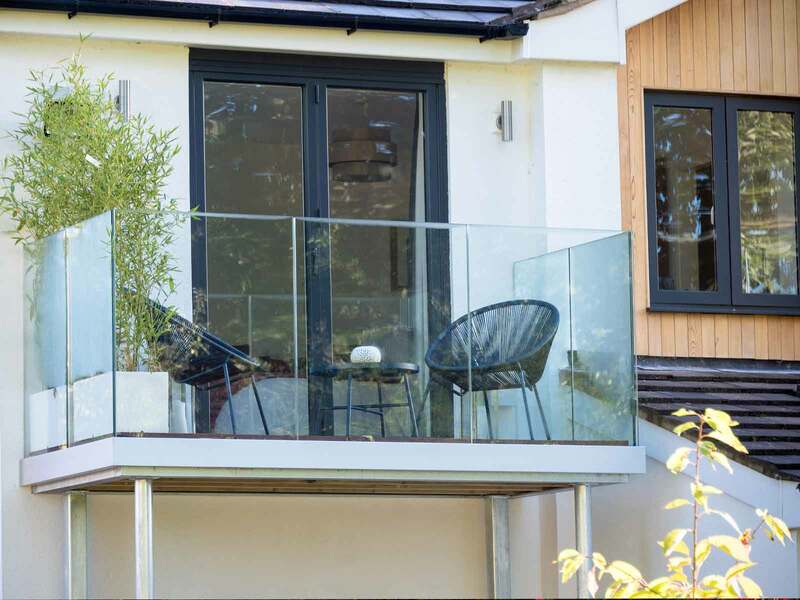 Our customers tell us every day how much difference a beautifully designed Sunrock Balcony makes to their lifestyles and it is probably the most satisfying part of what we do. 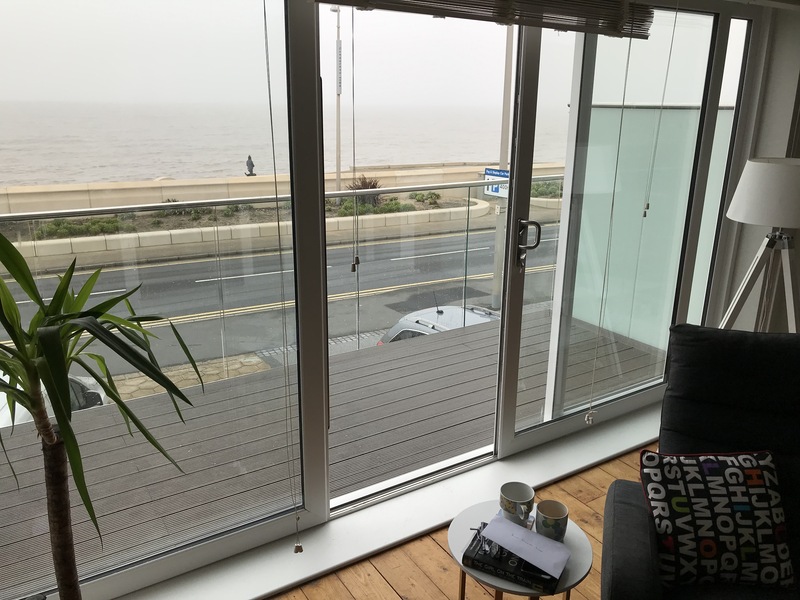 Just a few lines to say how extremely pleased we are with our new balcony, it has been a fantastic experience to have seen this grow from our original idea to its completion. 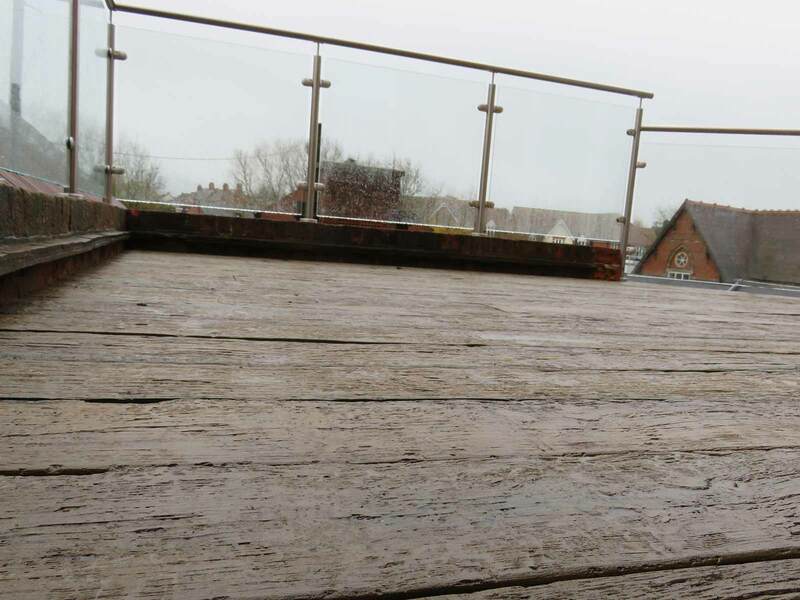 The process has been so well managed by yourself and Liam, with no stress on us whatsoever, a special thanks also to Tom and his team for the efficient and friendly construction of the balcony in what could be described as awful weather conditions. 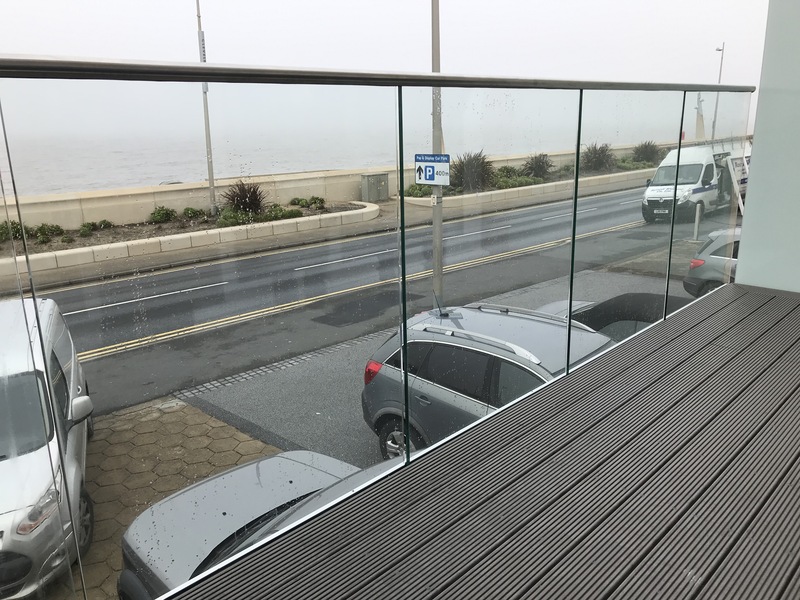 We are highly delighted with the whole experience and would not hesitate torecommend Sunrock to anyone considering having a balcony installed , again sincere thanks to all concerned. We just wanted to say this Juliet looks fabulous. The lads were a credit to the firm. They were polite and courteous and clearly well experienced in doing this work. We spent months searching for a full glass Juliet for this large area and Sunrock have delivered exactly what we wanted. Please thank Tim and the lads for a job well done! 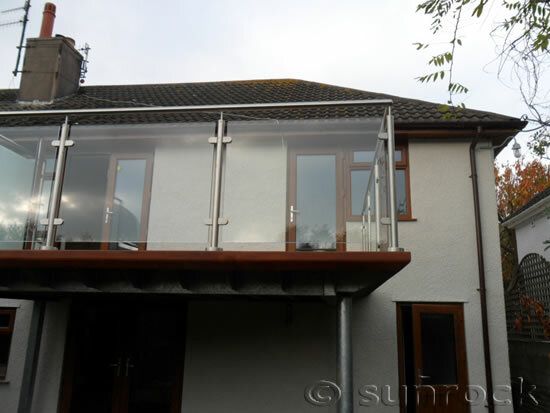 Please find attached a couple of photos of the Sunrock balcony installed on our new extension. Both myself and my wife are thrilled with it and have already passed on your details to others. Many thanks for your help and advice and for your patience with my many emails. 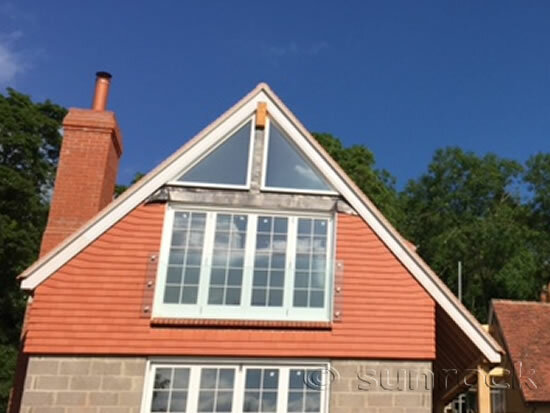 We chose Sunrock very late in the project. 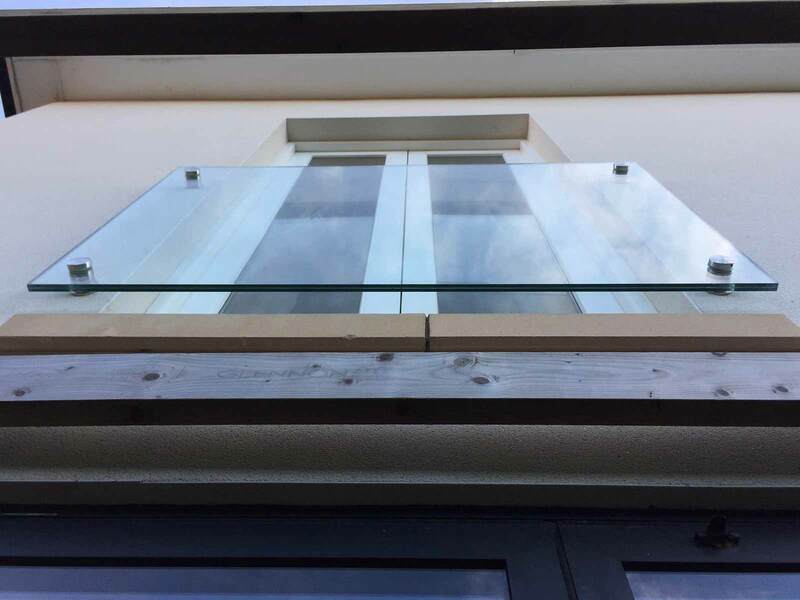 Our original supplier was able to fulfill the requirements but not able to provide documentation that it conformed with building regulations. 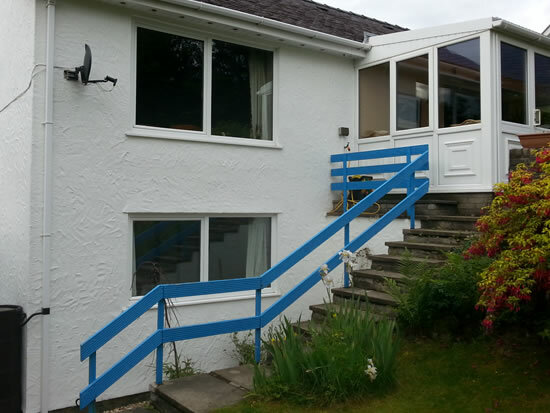 On the advice of our building inspector we therefore changed supplier. My initial contacts with Sunrock assured me that they were both fully aware of all current regulations and they followed this up with the certified test reports immediately after the installation. At all stages of the project EVERYONE at Sunrock was efficient and professional. Overall we are absolutely delighted with the results. All communication with Sunrock from quotation, site visit, installation, finance dept etc was efficient, stress-free and professional. A pleasure doing business. Will definitely recommend you guys to everyone! A great job, and will be recommending to all! 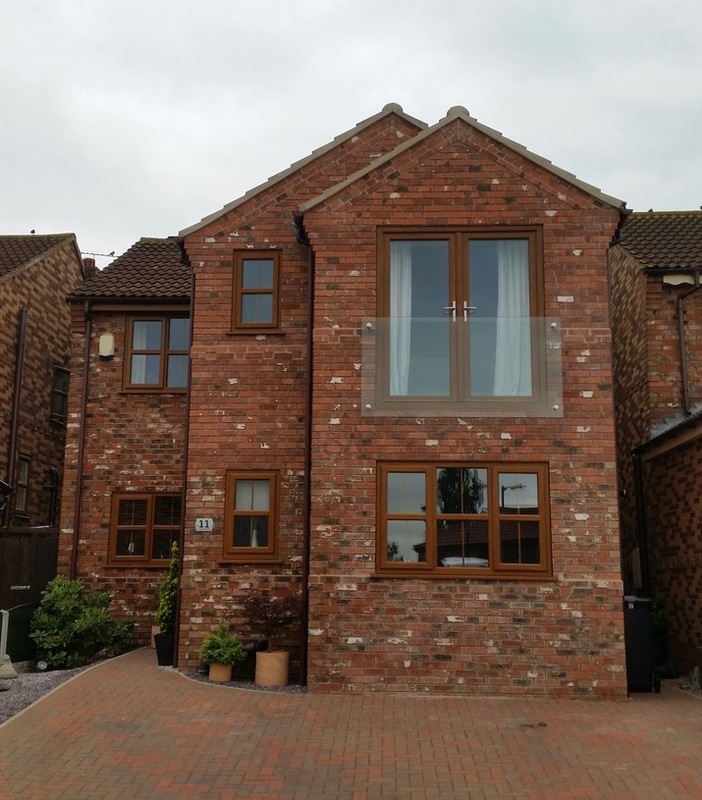 We chose Sunrock Balconies to install our Juliet balcony because from the first instance they were truly professional. 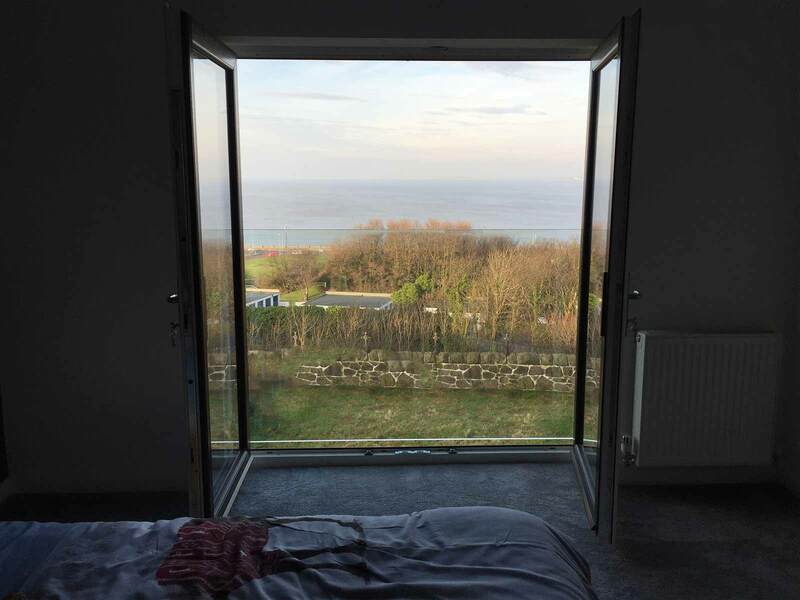 The communication between the company and ourselves was fantastic, they kept us informed every step of the way from the initial quote to completion of the installation. 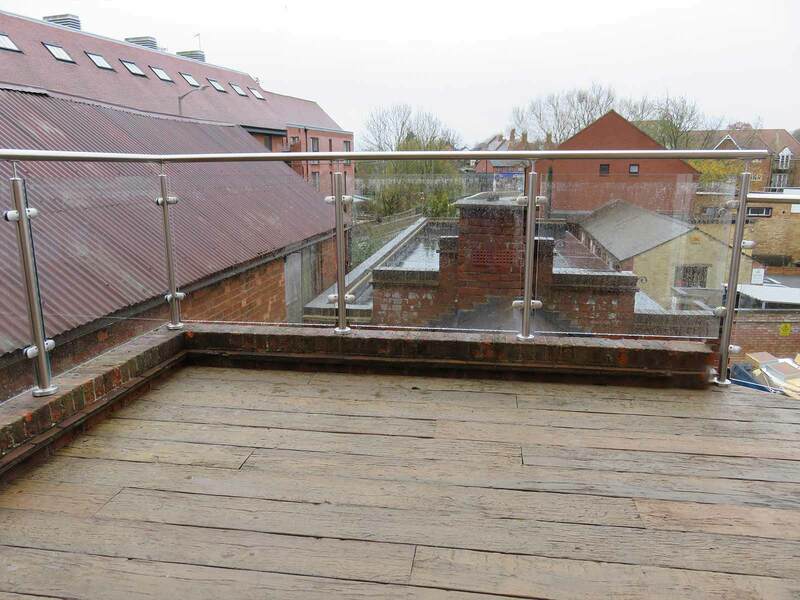 The staff that install the balcony are fantastic, really polite and courteous. A truly great experience and a quality product. We will highly recommend this company to anyone. Barrie at Sunrock Balconies and his team have done a stellar job on our balcony, which I wanted to protect with high panels of glass for the safety of my two young daughters. 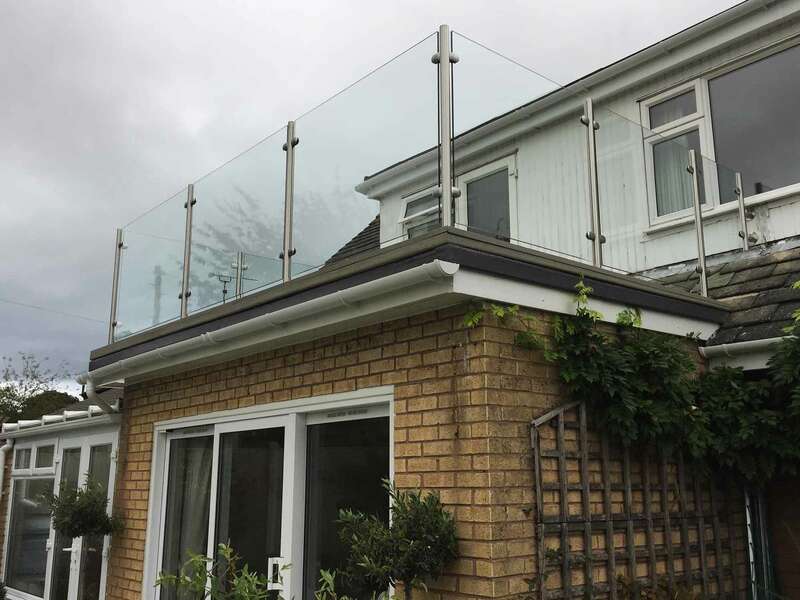 He showed an exceptional degree of flexibility and professionalism and has been able to address perfectly our desire to balance safety with appearance. We are immensely grateful to Barrie and his Sunrock team for their time, energy and the quality of their work. 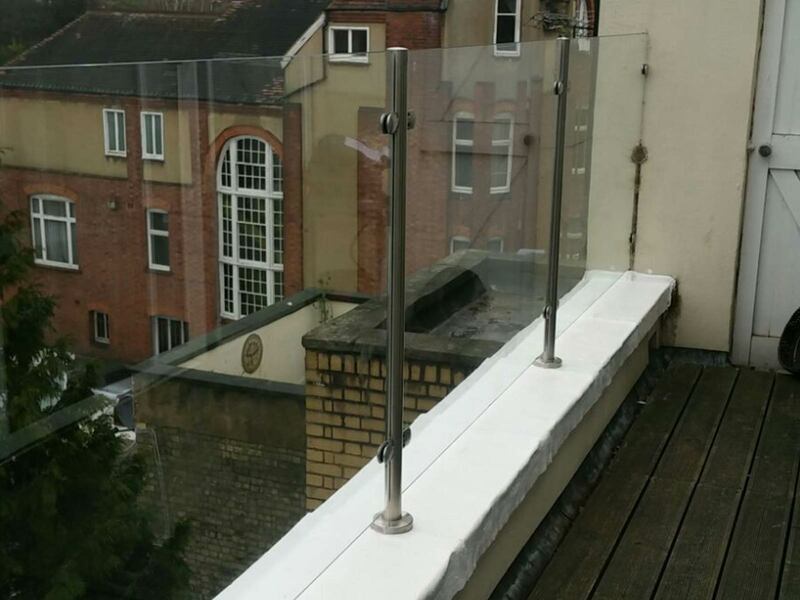 On this balcony in Hampstead project, completed in January 2017, Sunrock removed the existing metal balustrade and replaced with Barbican Glass and Stainless Steel Balustrades with no handrail and upgraded glass to toughened laminated glass. The service I’ve recieved from Sunrock has been amazing. 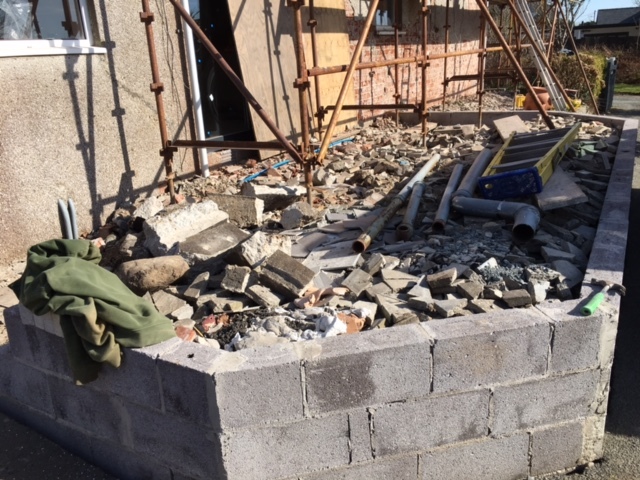 We had an extension built and we were left in a bit of fix from the builders. The service from the start was brilliant, even when we had to amend the order, Sunrock did everything possible. 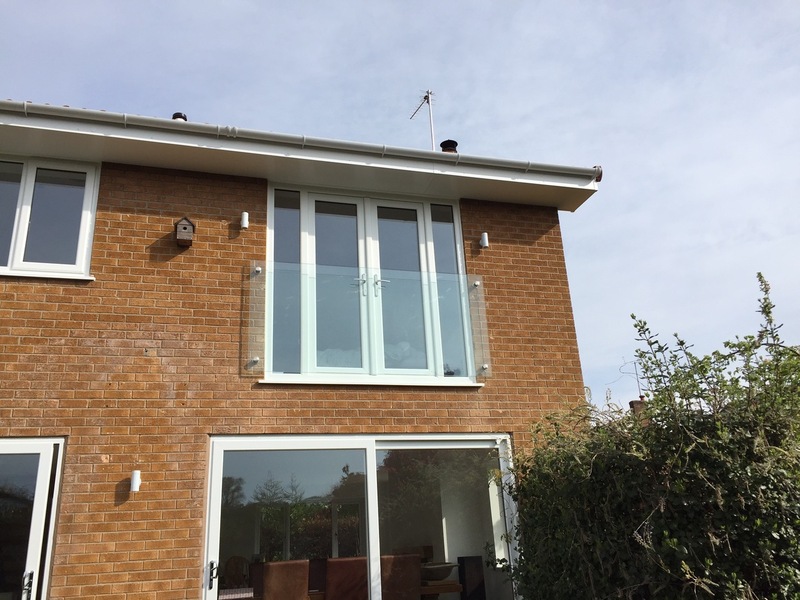 When I needed help to get the balcony passed by building control Sunrock again helped. I’d recommend Sunrock to anyone. 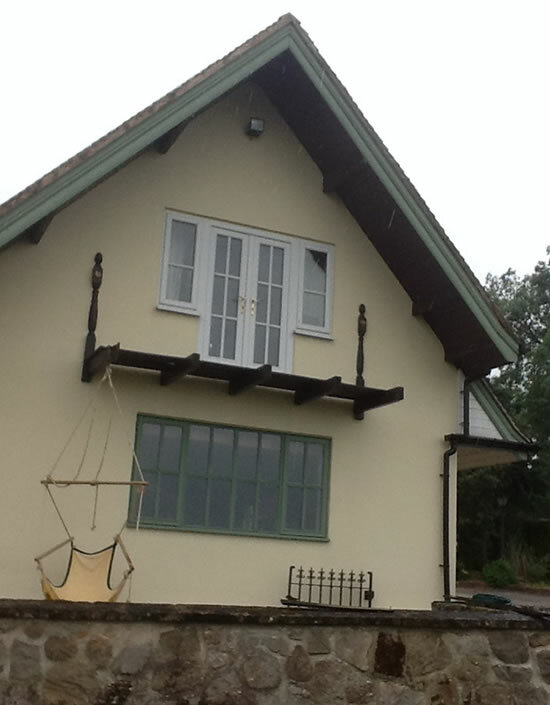 I am very particular about the design of our house so we only use the best suppliers and tradesmen. 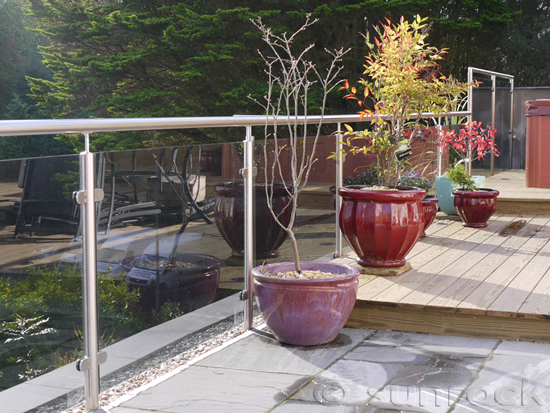 Sunrock Balconies were not the cheapest of the options we looked at but they were definitely the best value. 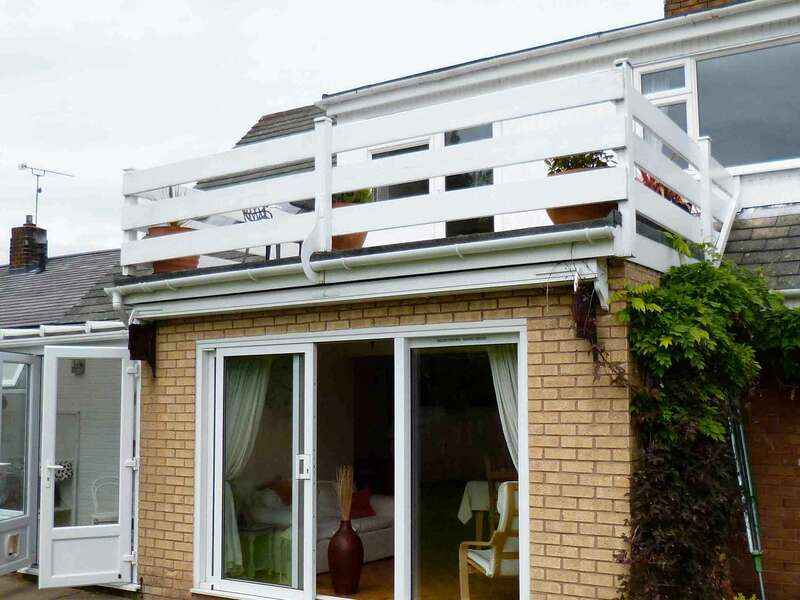 They were really helpful on the design side and were flexible about the installation when we had a few issues on site. The Juliets look amazing, lots of people have commented on them and they are a great feature of the back of our house. We have already recommended Sunrock to friends and we would definitely use them again. 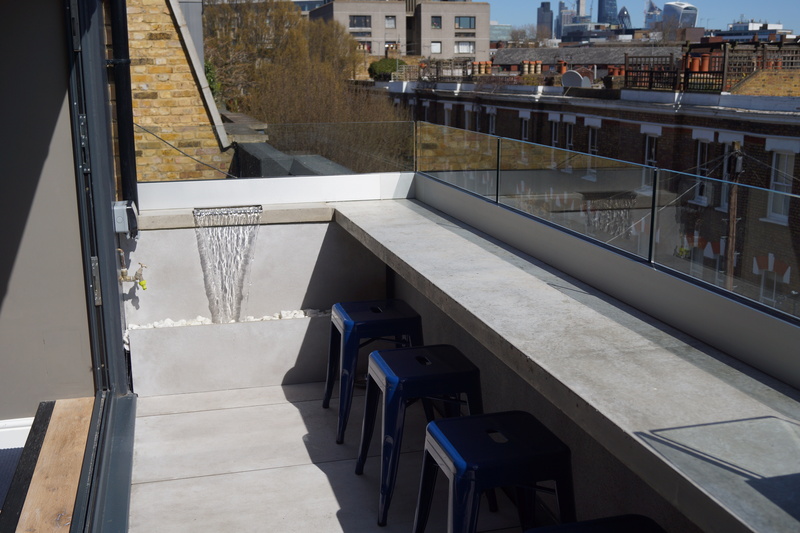 Sunrock Balconies were helpful from the outset providing advice and specifications for my Building Control inspection. 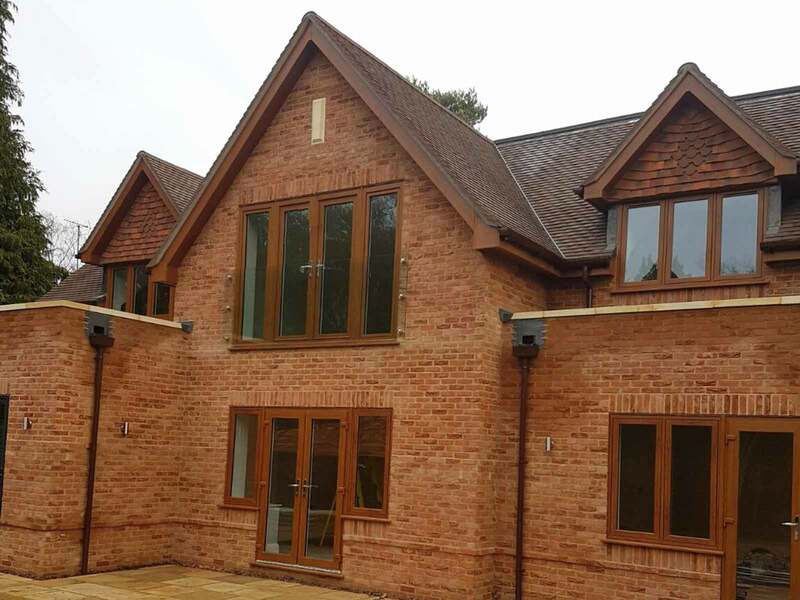 I just wanted to drop you a quick email to say thank you and your guys for a great job at Villa Gina in Hampshire. 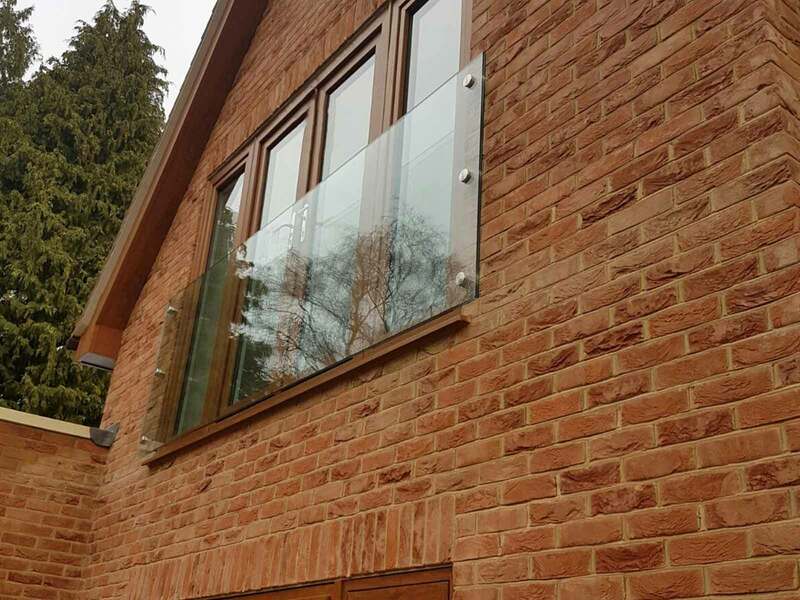 The glass looks great and the guys that fitted it were a pleasure to have on site. I have a few more jobs coming up next year so will keep in touch. 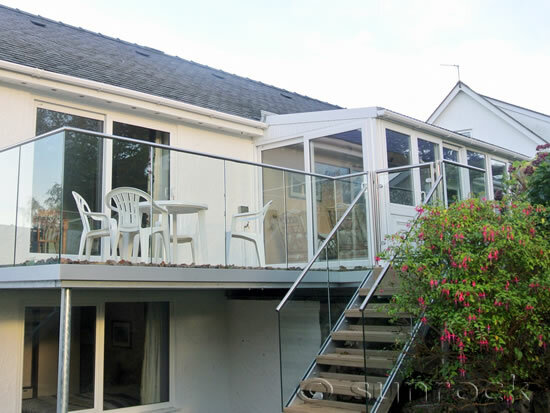 From design to completion of our balcony, Sunrock Balconies couldn’t have been more professional. 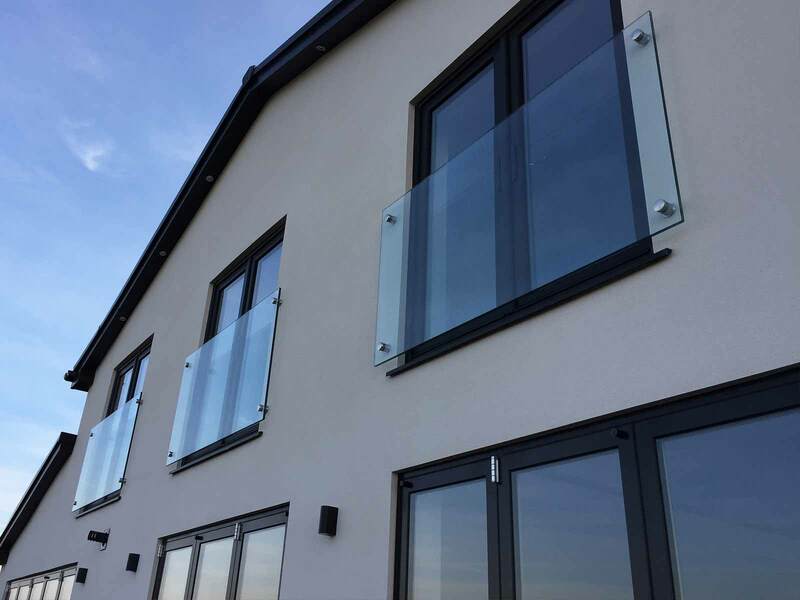 Living in the North East we could not find a local company to fulfil our needs with confidence, but meeting with Sunrock Balconies relieved our anxieties and they were able to advise and foresee things we hadn’t. 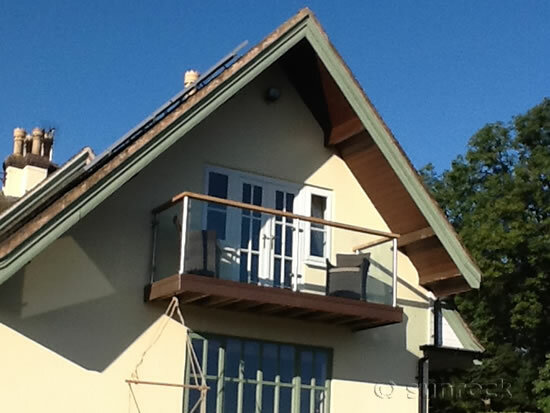 The installation team involved us in the build where decisions were required and gave professional advice throughout. These brilliant guys were hardworking, reliable, and tidy as well as being extremely cheerful and polite. 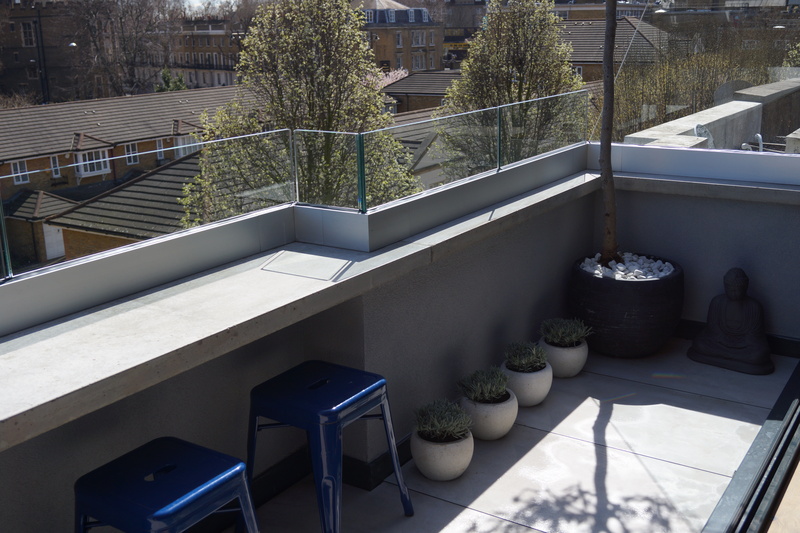 We cannot praise and thank Sunrock Balconies enough for the wonderful service they gave us and we are delighted with our new balcony. 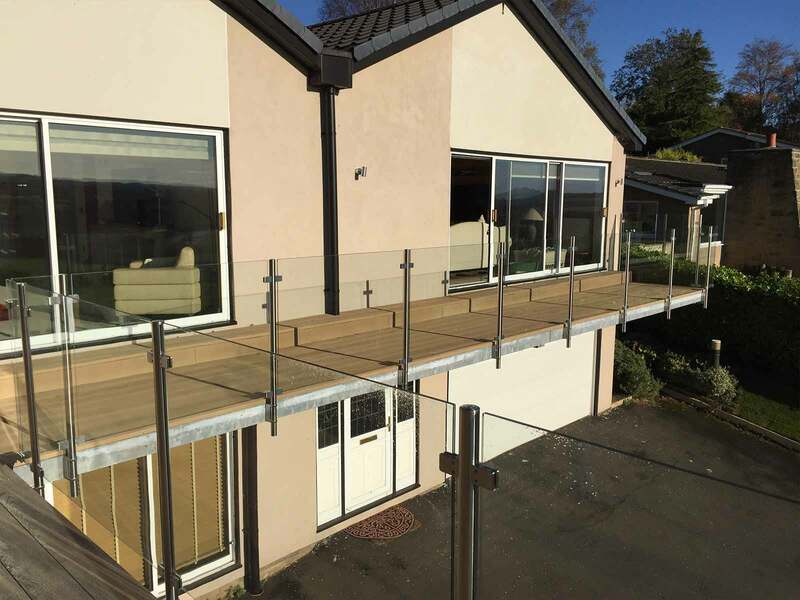 Having decided to renovate our existing balcony with a glass balustrade and a new surface, we were surprised at just how few specialist balcony companies there are out there. On speaking with Sunrock Balconies we were impressed from the outset at their attention, their customer service, and project management. 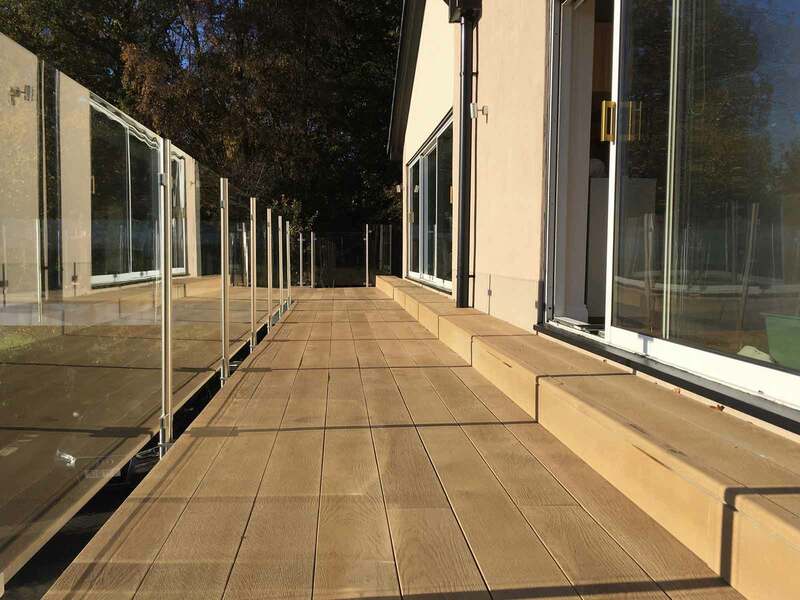 Even though this was a relatively small and non-complex undertaking, the time, effort and energy put into this on our behalf by Sunrock gave us confidence they would deliver a high standard product. 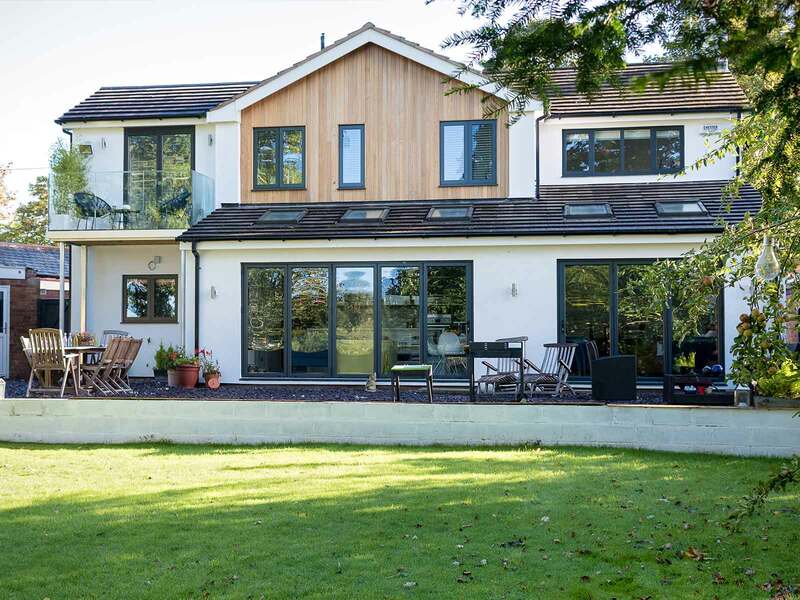 The planning and design was equalled – if not bettered by Sunrock’s meticulous on-site preparation and attention to detail in the construction. 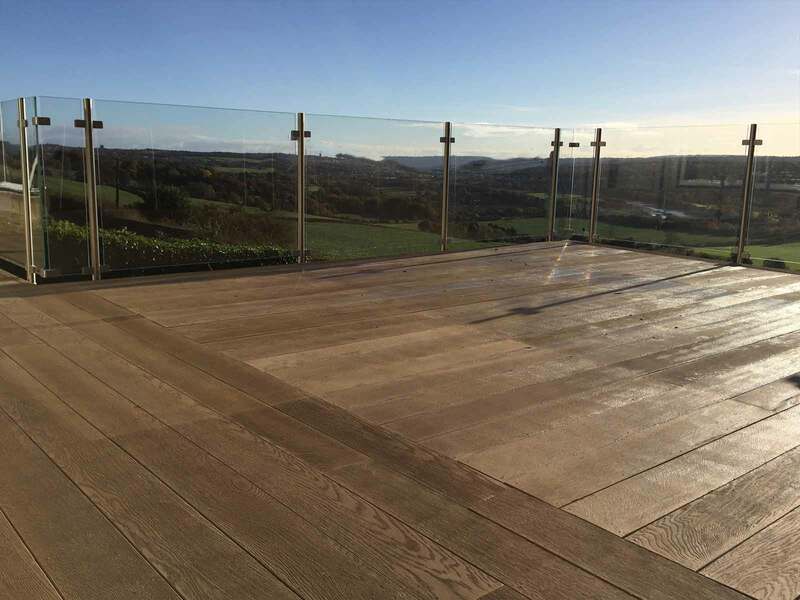 Sunrock were completely professional from start to finish and we have no hesitation in recommending their planning, design, highly accomplished workmanship and their approach to business. 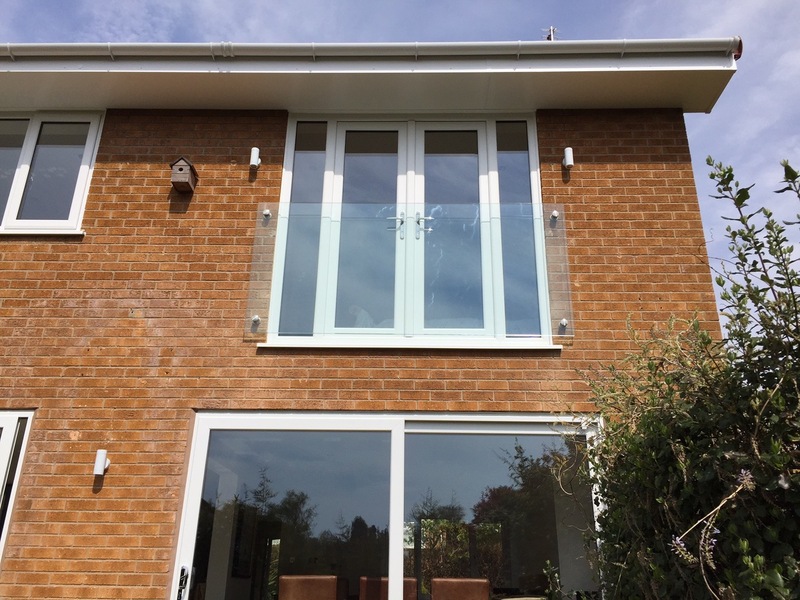 After receiving quotes from several companies I decided to chose Sunrock to install my balcony. 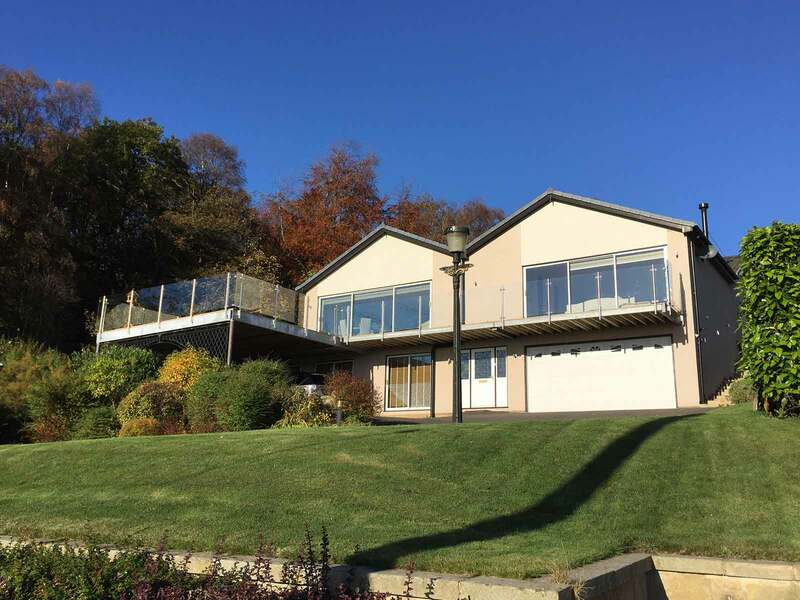 The sales process was professional, detailed, informative not pressurised and the final costing was very competitive. 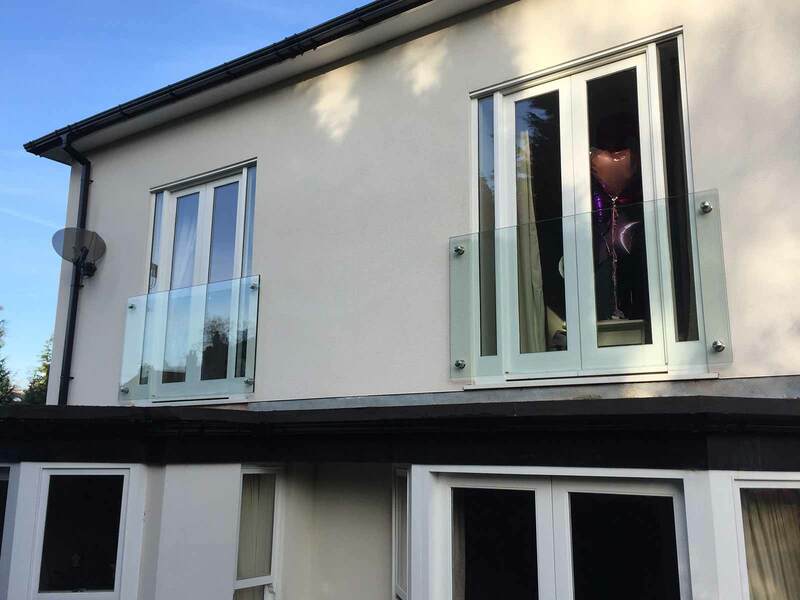 Installation of the balcony was quick, ran very smoothly and the guys completed the works on schedule with little disruption and minimal mess. 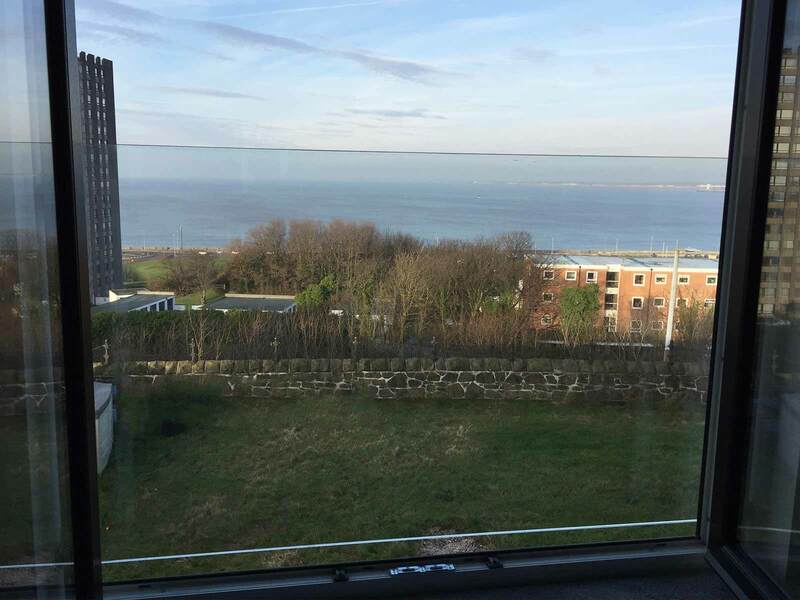 Finally the balcony was inspected by the original sales person to check for adherence to specification and quality prior to the final invoice being issued. All in all a first class service with a quality and stylish product delivered. Really happy. From initial phone call all the way to project installation everything was smooth and as agreed/promised. 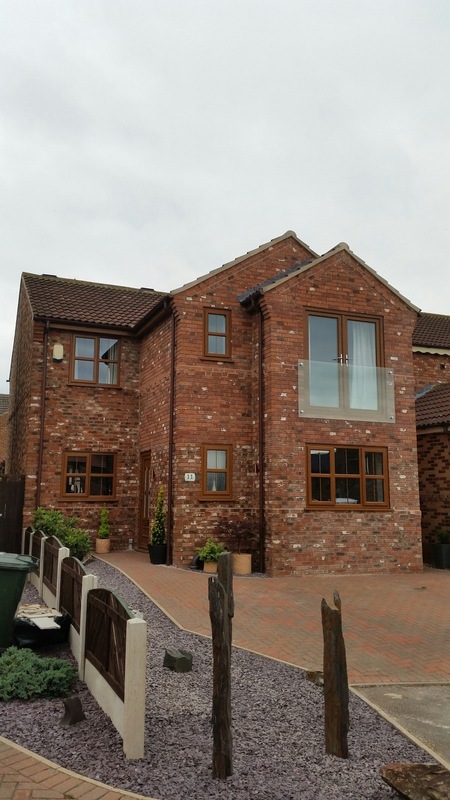 Site survey by Barrie very professional. Product looks great. Would definitely recommend. What a team! 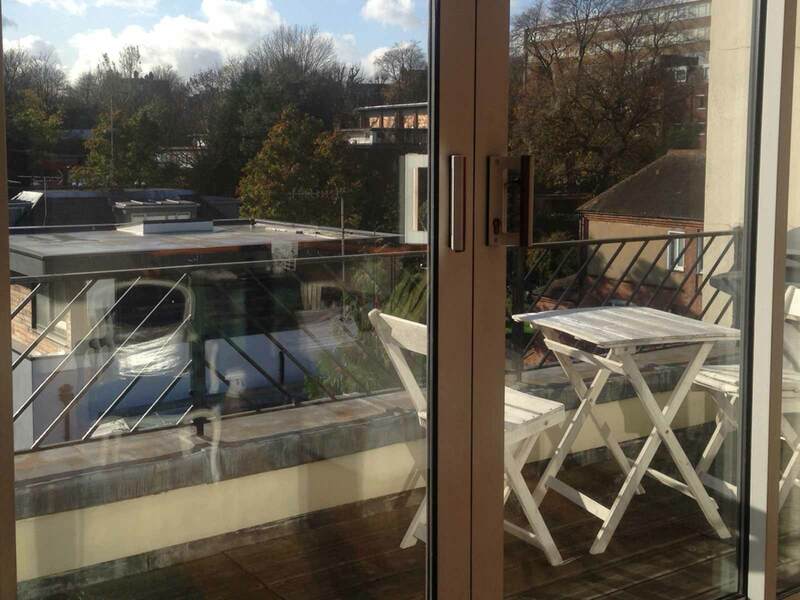 And what great balconies we have. Thank you so much. We were in and out last Friday and failed with our hospitality, so please extend our apologies. That really was very slick and I can only hope for that level of professionalism in what I do and the other services we buy. I will talk about the greeting of all 3 of your team with names, handshakes and eye contact for a very long time. Of course we are delighted with the product too. Here is the pic, I will send better ones over the next week or 2 as we complete the render and the lead. Many thanks to all…extremely pleased with the service & quality finish…looks terrific! 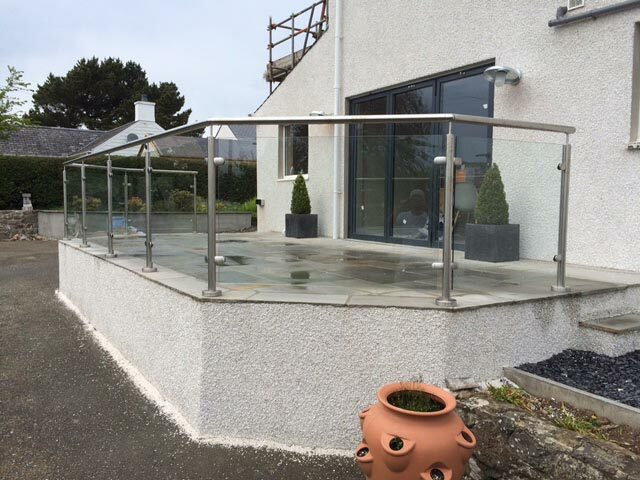 Sunrock were happy to install steel and glass balustrades, creating a lovely raised patio / balcony at this house renovation in Abersoch North Wales. Simply the best! 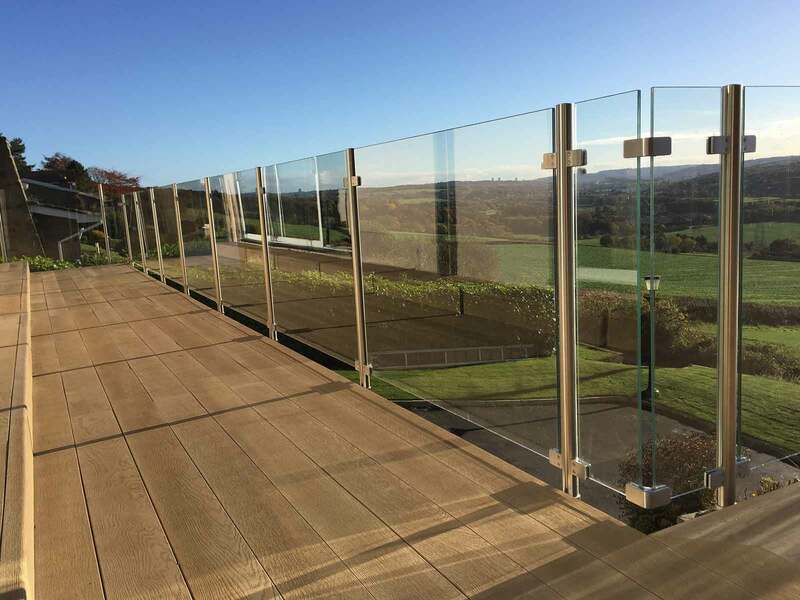 From start to finish, I could not praise more highly the complete package we received from Sunrock Balconies. 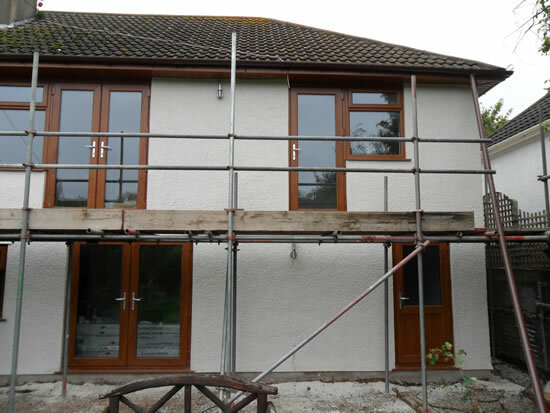 Our project involved specification changes and significant delays resulting from us not being ready for installation. 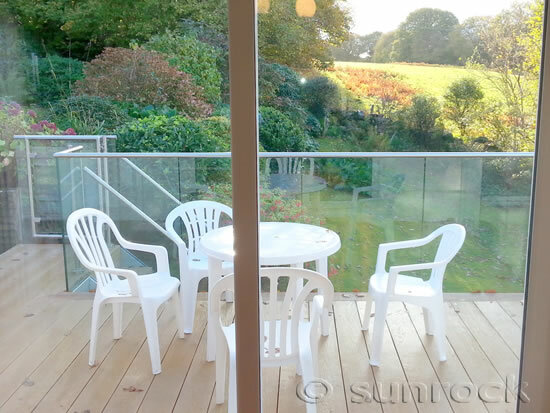 Throughout, the patience, good humour and understanding of Sunrock Balconies can only be described as exceptional. The response to my multiple requests was always ‘No problem’. 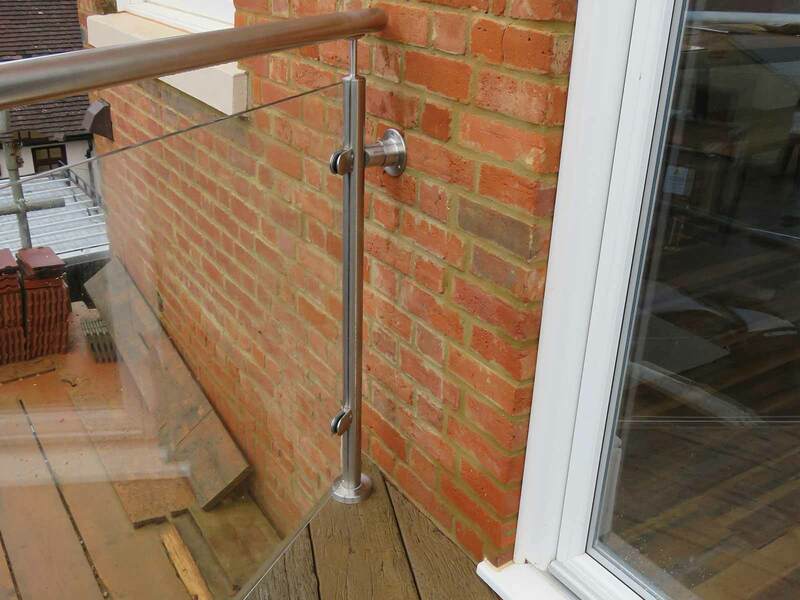 The result, a totally satisfied customer delighted with every single aspect of the job. Don’t bother looking elsewhere, you’ll not beat these folks for peace of mind, quality of work, price and product choice. 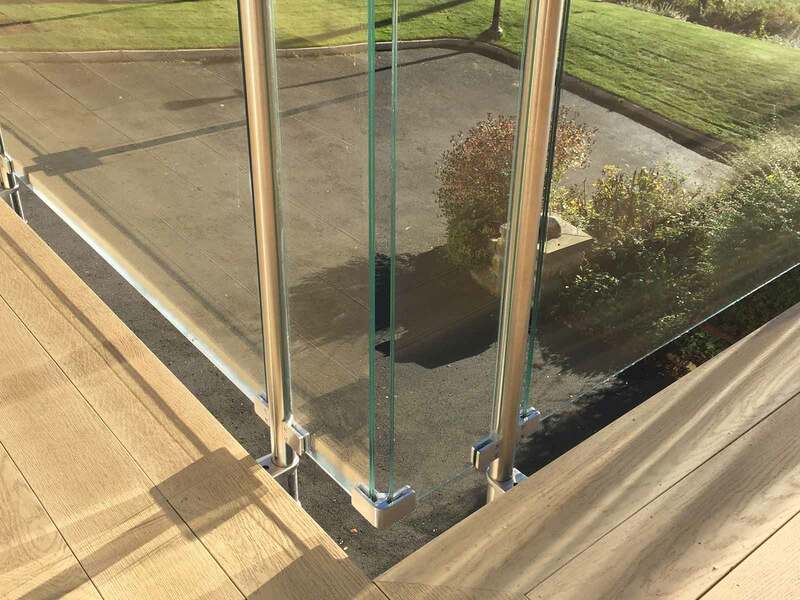 Infinity Glass Balcony with Handrail, Steps and Gate. 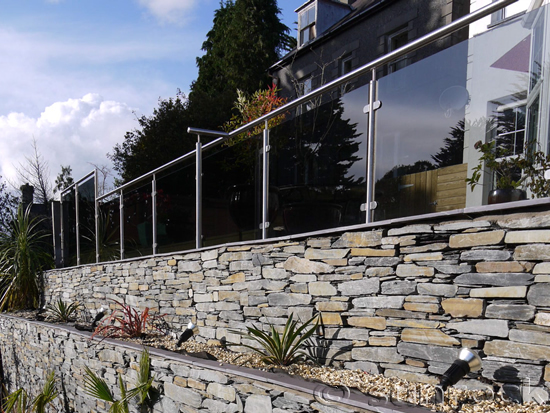 From project inception through to completion, we can only praise Sunrock’s ethos and approach. 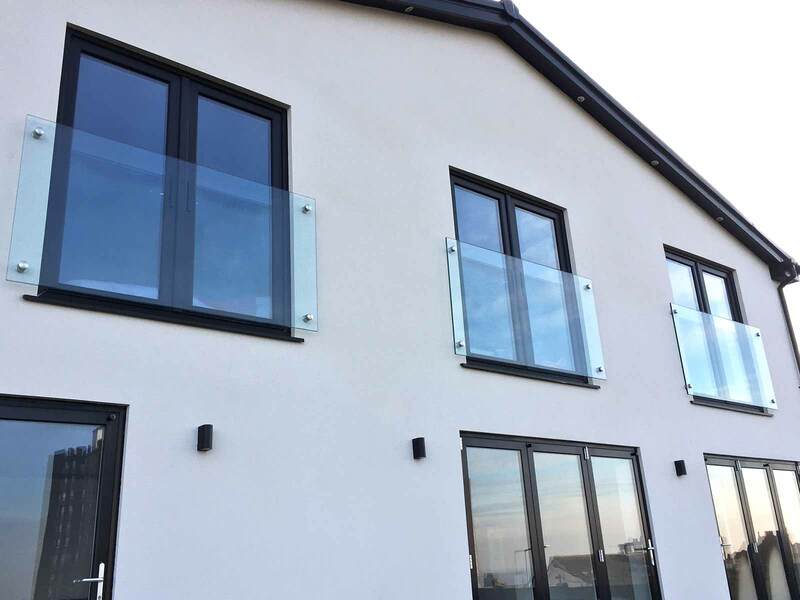 We selected them because they were the only specialist balcony company who proved they were able to genuinely deliver a customer-driven solution and they have delivered exactly what we asked of them and more! 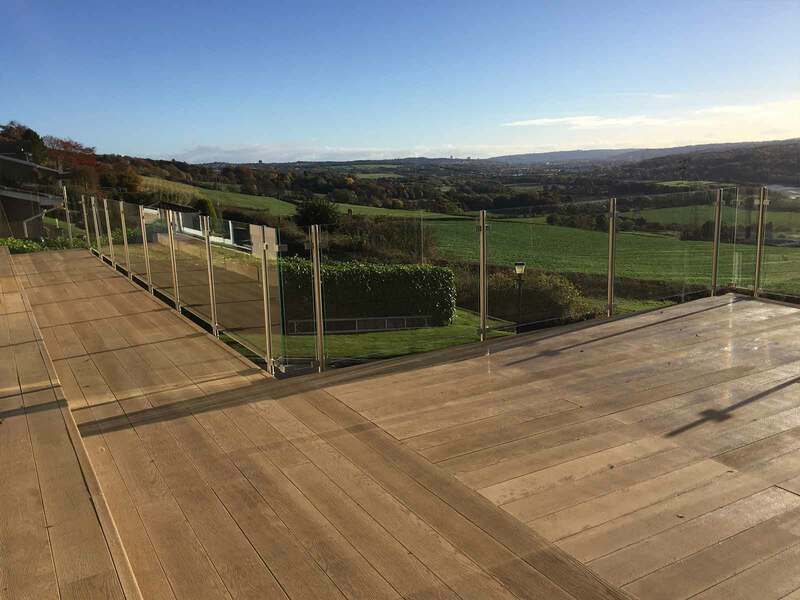 Their strength lies in the fact they are a team of specialists with no weak link in the chain – specialist project managers; designers; estimators; steel fabricators, and installers. Their emphasis on planning; good communication; and in adopting a consultative approach with the customer is also inevitably central to their success. 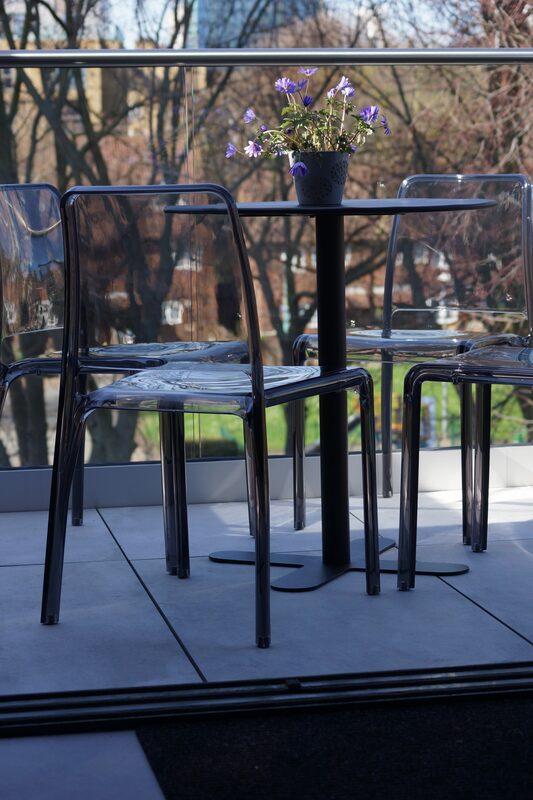 We now have a balcony that complements the modern look of our house and which at the same time maximises our enjoyment of our outdoor space and the outstanding countryside views. 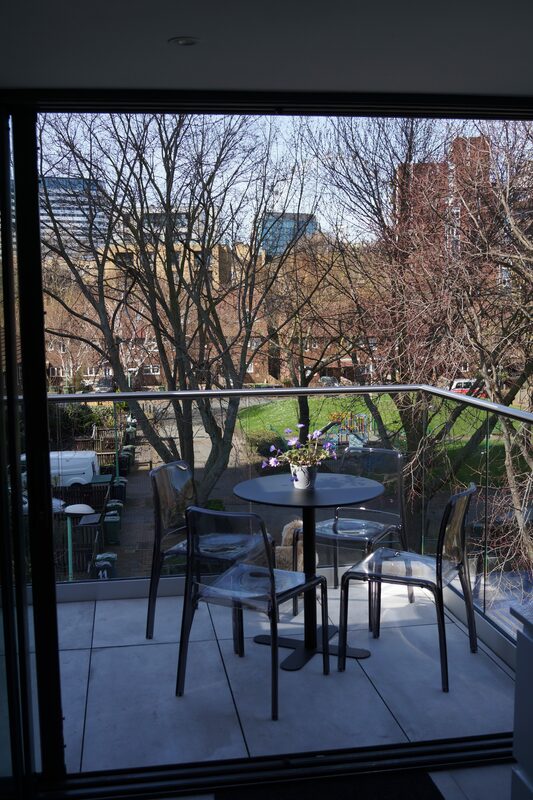 By bringing together our upper and lower garden, and simultaneously taking advantage of the split-level nature of the house, the balcony, in our view, very much completes our property. 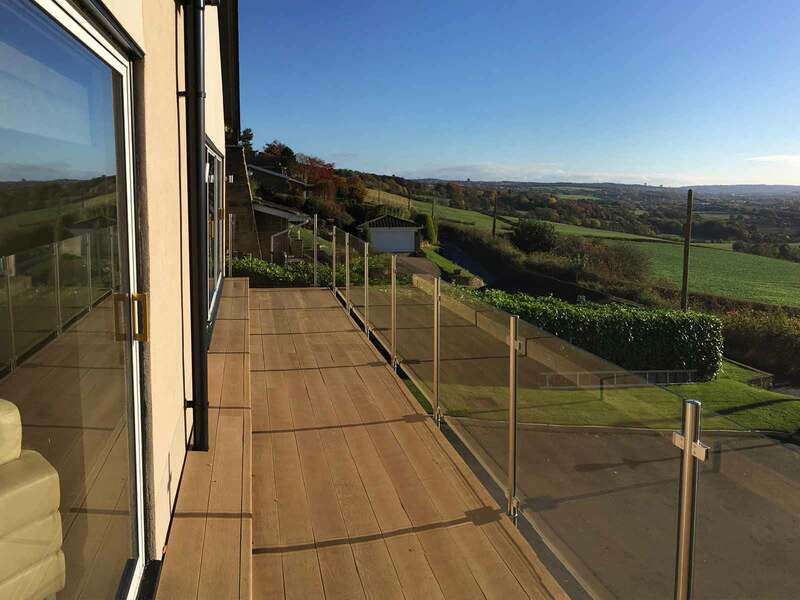 Refurbished Balcony in Derbyshire. ‘Hope you received the pics, looks good doesn’t it ! I would like to thank you for a very professional job, we got there in the end and I think you’ll agree it looks and is a great result. 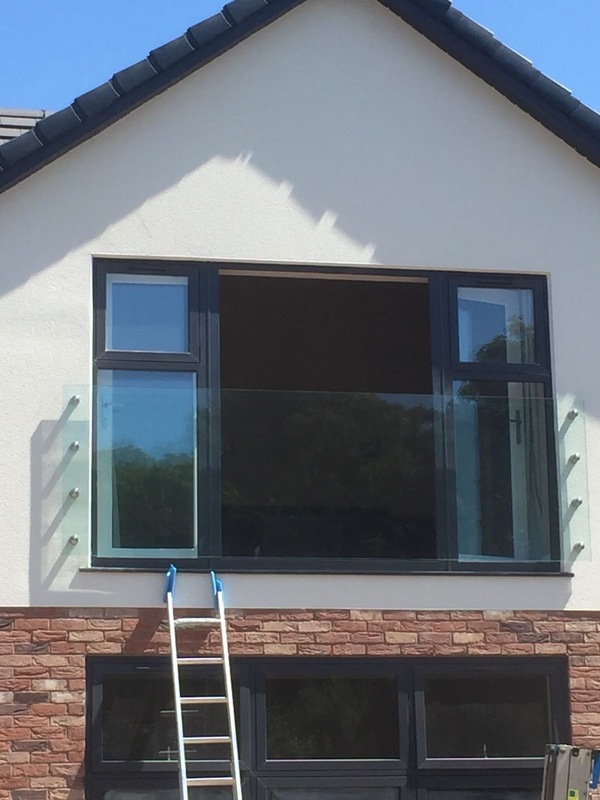 Glass Balcony Installation Barrow in Furness. 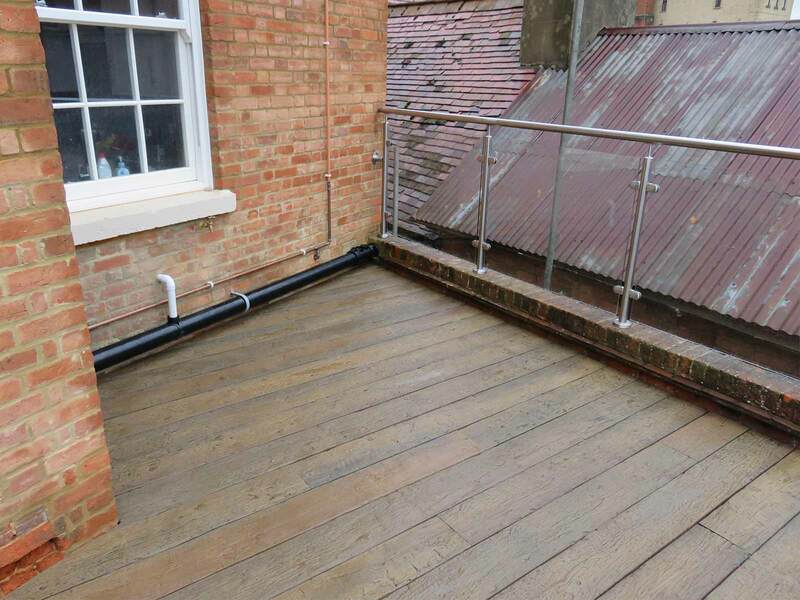 ‘Just wanted to drop you a line to say how delighted we are with the balcony, it looks really stunning. Could you please pass our thanks onto Steve, Peter and all the guys who have worked so hard on the project. Everyone has been extremely professional and we would certainly recommend your company to anyone. We also appreciate you dealing with the planning department on our behalf, I know they can be quite challenging! 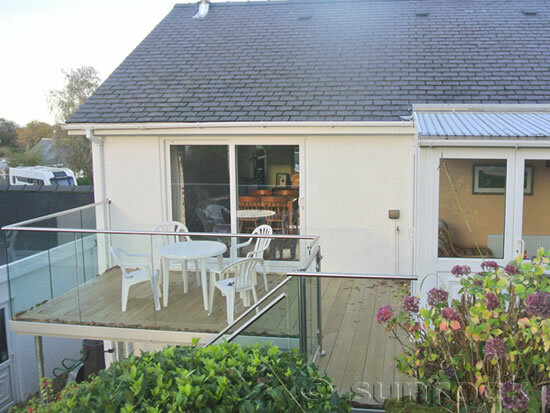 Glass Balustrades and Decked Area with Hot Tub. 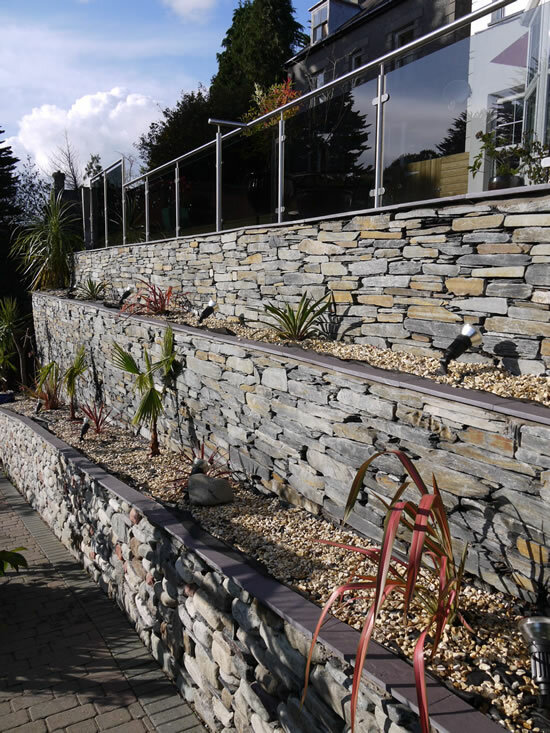 ‘The project brief was to create a decked area with a hot tub and balustrade,” the spectacular walling made from local stone and slate, and decking were built by ST Davies Ltd, a local specialist builder and groundworks company. 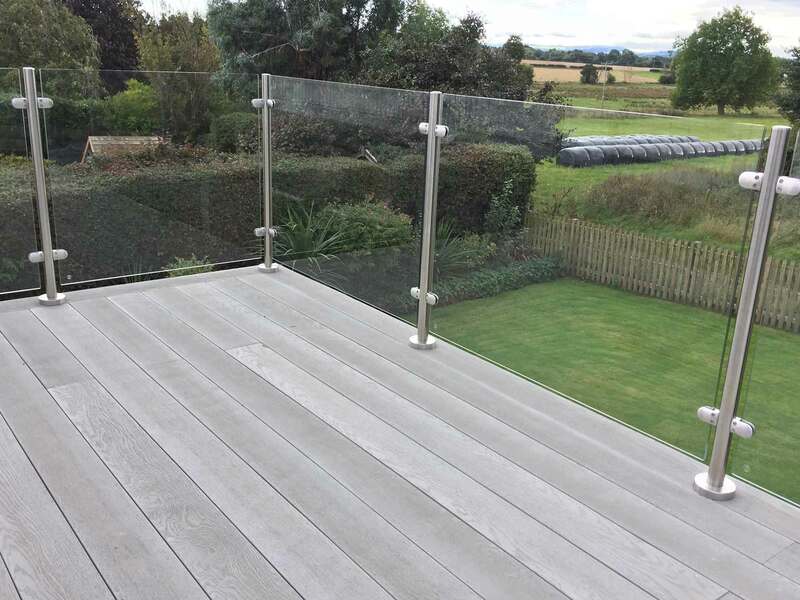 In cooperation with ST Davies and the client, Sunrock designer Peter Orgill designed a balustrade system to compliment the scheme, giving a level of privacy, protection, and stunning looks.